Published on October 26, 2016. The wide-scale demolition proposed by Caydon Property Group throughout the complex to accommodate their re-development (including the demolition of the silos), will have insurmountable and irreversible impacts on the site as a whole. The Victorian Heritage Register Statement of Significance emphasises the intactness of the complex as a key element of its significance, identifying the site’s ‘ability to demonstrate the changes in malting technology from the late nineteenth century’. You can read the National Trust classification report for the site here, which goes into great detail regarding the significance of the various buildings and how the site is positioned within the wider context of Victoria. A Planning Permit for Stage 1 is required from the Yarra City Council under the Planning and Environment Act 1987. This decision can be appealed by third-parties at VCAT. A Heritage Permit is required from Heritage Victoria under the Heritage Act 1995. The applicant can appeal this decision with the Heritage Council of Victoria, however there are no third-party rights of appeal. 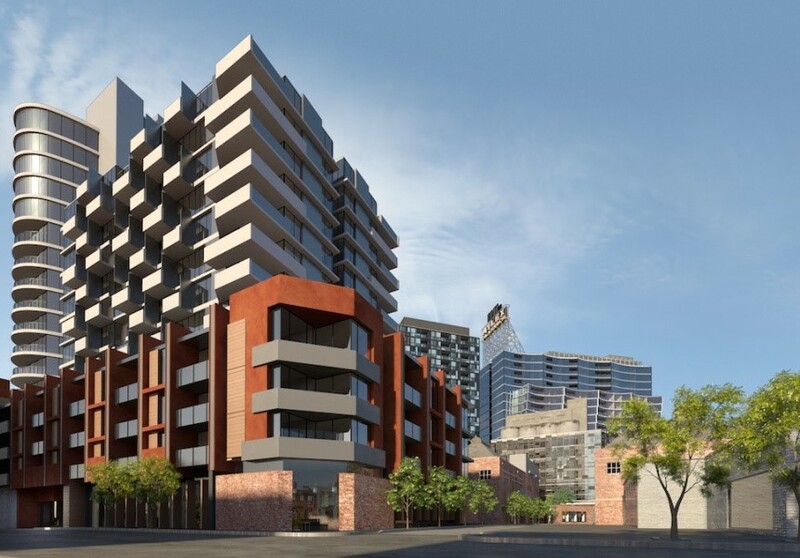 In April 2015, Caydon Property Group (‘Caydon’) lodged a planning permit application with Yarra City Council for Stage 1 development of the Richmond Maltings site which included a new apartment tower and the demolition of remnant heritage fabric (impacting B1, B2 and B3 in the diagram above). In September 2015, the City of Yarra failed to make a decision on the permit application within the prescribed time, and so Caydon proceeded to lodge an appeal with the Victorian Civil and Administrative Tribunal (VCAT). In January the VCAT Hearing to determine Stage 1 was held. On March 2016, the Tribunal issued an interim decision order to allow Caydon to amend their plans for Stage 1 based on a series of conditions. After lodging amended plans, VCAT granted Caydon a planning permit for Stage 1 in July 2016. To read the decision of the Tribunal, click here. In June 2015, Caydon also lodged a heritage permit application with the Executive Director of Heritage Victoria for Stage 1 (as is required for heritage sites included on the Victorian Heritage Register). In January 2016 the Executive Director of Heritage Victoria refused to grant the permit on the basis that the application was for a ‘high yield new development with very little positive heritage outcomes’, that would visually dominate the site ‘in contrast to the industrial heritage presentation of the significant place generally’. To read the Executive Director’s refusal in full, click here. In response to the Executive Director’s refusal, Caydon proceeded to lodge an appeal with the Heritage Council of Victoria. On the 23rd-24th of June, and the 4th of July 2016, a Heritage Council Committee Hearing was held to determine Stage 1. In August 2016, the Heritage Council Committee confirmed the decision of the Executive Director and refused to issue a permit for Stage 1. To read the reasons for their refusal, click here. A planning permit for Stage 2 was lodged with Yarra City Council in November 2015 and was subsequently refused in June 2016. The permit proposed the following: ‘Development of the land for buildings and works, including the construction of two buildings, varying in height from 6 to 20 and 21 storeys (plus 3 basement levels), use of the land as accommodation (399 dwellings and 78 serviced apartments), retail and shop, reduction in the carpark requirements (385 spaces provided onsite and utilisation of 90 spaces as shown in stage 1), and construction and display of a sign (relocation of Nylex Sign)’. This matter can now be appealed at VCAT. As far as we are aware, Caydon is yet to lodge a VCAT appeal in response to this decision. The Trust considers the new development a massive overdevelopment of the site. Essentially, 3½ heritage buildings will be retained at the centre of the site (B4, B5, B8, partial B6 for Stage Two), and the rest are proposed for complete demolition (B7, B9, B10, B11, partial B6 for Stage Two and B1, B2, B3 in Stage One). To read our submission in full, click here. As of October 2016, the Executive Director of Heritage Victoria was yet to make a determination on this matter. In a separate yet directly corresponding matter, in May 2016, Heritage Victoria accepted an application to amend the Victorian Heritage Register (‘VHR’) registration for the Richmond Maltings Complex. This application proposed to remove the permit exemptions for B1, B2, B3, B4, and B9 (see map above). Essentially, while the entire Richmond Maltings complex is registered on the VHR, the Registration Committee that evaluated the nomination back in 2004 incorporated a series of permit exemptions that allowed demolition and internal alteration to take place across the site without first receiving a heritage permit from Heritage Victoria. While a heritage permit and a planning permit is still required to build something in place of the exempt buildings if they were to be demolished, these permit exemptions across the site make it much easier for the developer to clear away as much heritage fabric as possible to facilitate new development. In June 2016, the Executive Director of Heritage Victoria recommended that the permit exemption associated with B9 (the ‘Nylex’ silos) be removed, whilst recommending that the permit exemptions associated with B1, B2, B3 and B4 be retained. In response to this recommendation, the National Trust sent a letter to the Heritage Council of Victoria supporting the Executive Director and the position of the nominator, yet calling for the exemptions on all buildings to removed to allow the heritage impacts to these places, identified as being significant in the registration, to be considered during permit applications. To read this submission in full, click here. In summary, The National Trust firmly believes, given the time elapsed since the first assessment in 2003/4, the evolving appreciation of mid-century industrial heritage in Victoria, and the increasing rarity of the site when juxtaposed against comparative sites across the state, it is reasonable for any reassessment of the permit exemption in question to consider the site as a whole. The National Trust submits the removal, with the benefit of a permit exemption, of any identified registered malting building in their entirety has the potential to have a detrimental impact on the significance of the complex as a whole. While the National Trust is not against development on the site, we firmly believe that any work proposed for the site should be thoroughly considered and evaluated by Heritage Victoria, taking into consideration the factors outlined above, before any work can take place. Caydon have since appealed the Executive Directors recommendation, requesting a Heritage Council of Victoria registration hearing to determine whether the permit exemptions should be retained or removed. This Registration Hearing was held on the 20th, 21st and 25th of October, consisting of the following parties: Best Hooper Lawyers on behalf of Caydon Property Group, Heritage Victoria on behalf of the Executive Director, Maddox Lawyers on behalf of Yarra City Council, the National Trust of Australia, and two community based interest groups: Save Dimmeys and ERA Apartments. The National Trust made a submission at the hearing supporting the Executive Director, Yarra City Council, Save Dimmeys and ERA Apartments, arguing that the permit exemptions should be removed to allow due process to take place. To read our submission notes, click here. The Heritage Council of Victoria will release their decision on this matter in approximately 8 weeks. 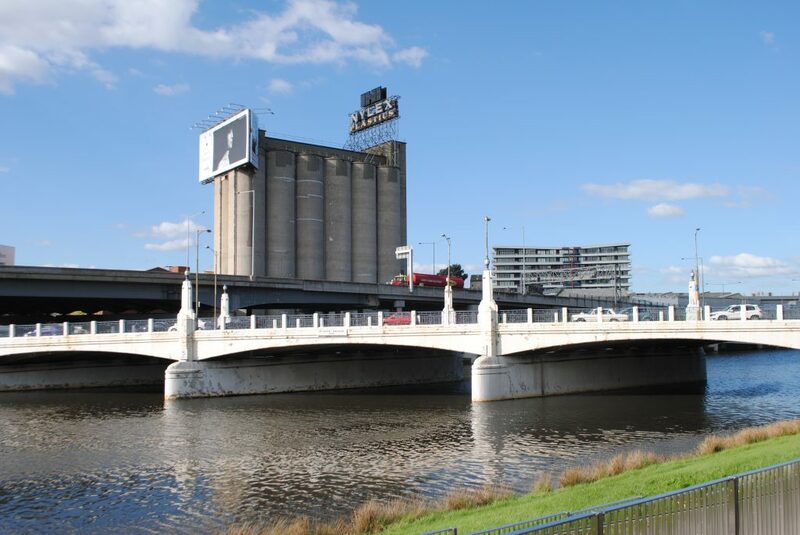 Let us know what you think, should the concrete silos be demolished or retained? 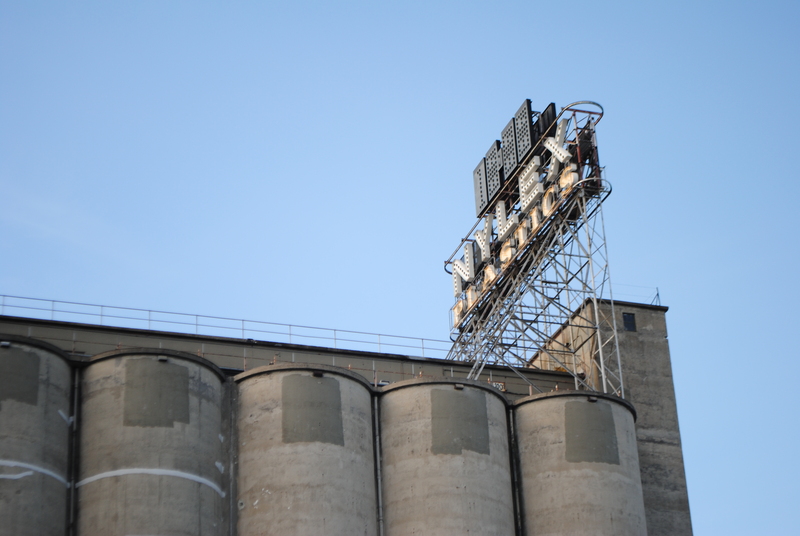 Are the silos and sign a cultural icon with landmark values? We welcome your feedback. Cultural icon or ugly mark on the landscape?